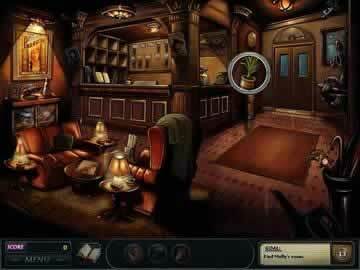 Nancy Drew Dossier: Lights, Camera, Curses Game Review - Download and Play Free Version! 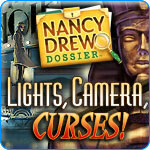 Join Nancy Drew for a New Hollywood Mystery Adventure in Nancy Drew Dossier: Lights, Camera, Curses! Unlike most casual adventure games, different dialogue options factor into the final score by unlocking the correct option. Fun mini-games including end of chapter bonus games. Sometimes difficult to tell which action must be performed on an item. Strange and dangerous events are occurring on the set of a remake of the classic film, Pharaoh. The producer calls the teen sleuth Nancy Drew for help, and she can't resist the chance to investigate a real Hollywood mystery. Search for clues and solve brain-bending puzzles as you look into a number of charismatic suspects, each with their own motives. Save the picture before it is too late and figure out if someone is trying to sabotage the movie or perhaps there truly is a curse! The main gameplay found in Nancy Drew Dossier: Lights, Camera, Curses! involves scouring scenes for clues. As you move Nancy's magnifying glass over each scene, a sparkle and sound indicates an object of importance or something you can interact with. A close-up image and description of the object appears and it remains highlighted with a magnifying glass. You then have to decipher which objects need to be combined, and in what order, to progress to the next scene. For instance, you find a torn poster and then, while it is highlighted, click on some tape to make a match, and the poster is repaired revealing an important clue. One of the most compelling aspects to any of the Nancy Drew games is the story itself, full of plenty twists, turns, and its share of surprises. Watch the story unfold through the various scenes which you'll have to explore and through the short, though well animated, dialogue clips. This conversation window also adds a new element to the gameplay in that you have to reply in ways that make sense. If you don't pick the correct response the other person will not know what you're talking about and you won't get as many points from this interesting mini-game. For an added incentive, Lights, Camera, Curses! uses a point system to chart your progress. You can earn points by chaining correct matches, answering correctly during conversations, and in the different mini-games which you'll have to complete. The best part is that if you earn enough points a special ending is unlocked for those diligent sleuths. So if you like puzzling adventures or are any fan of the Nancy Drew Series, download Nancy Drew Dossier: Lights, Camera, Curses! and begin the investigation today! Lights, Camera, Curses! will challenge your intellect, speed and detective skills as you embark to uncover the mysterious undertakings occurring on a set of the latest Hollywood blockbuster! Help Nancy to solve spooky crimes caused by someone, or some thing, tampering with the set, including an electrically charged fountain and demolished scaffolding. The story line itself will hold your attention as you slowly learn new information about this big screen dilemma, help to restore the set, and get the film-making back on track. One of the most unique features of this release that stands out amongst other adventure games is that completing dialogue options in the proper order will increase your overall score. Adding this wonderful element of an RPG will challenge your intellect and memory as previous scenes are incorporated into conversation. Mini-games are fun and include a wealth of tasks including code-breaking, puzzles, composing and playing music and much more! Another positive feature is the length that will provide many hours of exciting mystery solving to all players. Although it does not detract much from the overall appeal, the only downside is that it can sometimes be difficult to discern which action must be taken on an object, such as looking at, picking up, or using with an acquired inventory item. This small hiccup aside, Lights, Camera, Curses! 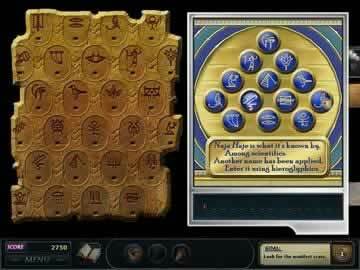 earns the distinction of being among the most well produced adventure games as it offers an exciting story line with wonderfully unique elements such as fully-integrated dialogue options, great mini-games with even greater bonus-games and an impressive length that will keep any player captivated for many hours. Get a feel for the sleuthing adventure and interesting mini-games found in Nancy Drew Dossier: Lights, Camera, Curses! with this brief trailer.